On Friday, July 6, at 11 a.m., the Pekin Public Library will present the seventh video in its Illinois Bicentennial Series in the Community Room. Pekin’s first railroad was christened in a special ceremony on July 4, 1859. With that in mind, July’s video will be “History of Pekin Railroads and Depots,” which is 54 minutes in length. The first week of July holds special meaning this year as Pekin and other area communities mark 100 years since the riverboat Columbia disaster of July 5, 1918, in which 87 of the 500 passengers drowned, most of the victims from Pekin. To commemorate the wreck of the Columbia, the library will host a talk by Ken Zurski, author of “The Wreck of the Columbia,” at 11 a.m. Tuesday, July 3, in the Community Room. Afterwards, at 2 p.m. that day the library will present a showing of WTVP’s new documentary, “The Sinking of the Columbia,” in the Community Room. Admission to these library events is free and the public is invited. All day on July 3, the library will display articles and photographs of the disaster in the Community Room, including a 48-star U.S. flag from the Columbia that was salvaged the day after the wreck by Columbia survivor Roscoe Maxey of Pekin. The flag was donated to the Pekin Public Library in 1986 by Roscoe’s son Justin Maxey. Pekin is hosting a memorial service for the Columbia’s victims and survivors at 10 a.m. Saturday, June 30, at the foot of Court Street, while on Sunday, July 1, at 7:30 p.m., the Pekin Park Concert Band will offer a concert in memory of the Columbia. Pekin’s churches have been invited to toll their bells on Saturday in conjunction with the riverfront service. A solemn moment of memory and prayer is a fitting tribute to the Columbia’s victims, especially considering that religious faith and its public expression have always been a pillar of life in Pekin and Tazewell County – and statewide as well, from Illinois’ earliest days. Before the arrival of European explorers and settlers in the Illinois Country, religion here took the form of the ancient nature-based or animist pagan religions of the Native American tribes. Catholic French explorers and missionaries introduced Christianity to Illinois in the 1600s, and French villages in Illinois often included chapels or churches – including La Ville de Maillet (Peoria) – and in places such as Cahokia or Prairie du Rocher religious missionaries offered Masses and provided religious instruction. 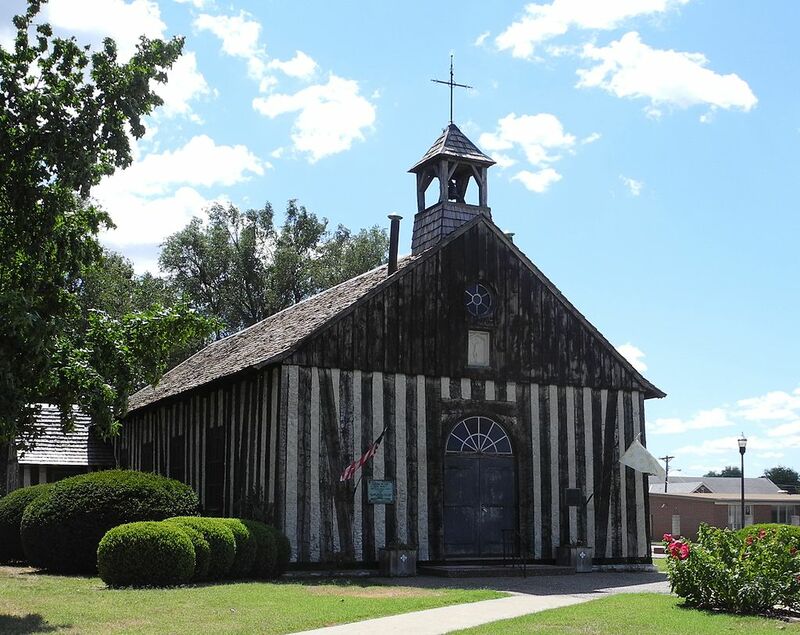 The Church of the Holy Family in Cahokia, Ill., is the church of the oldest continuous Catholic parish in the U.S. and the oldest church west of the Allegheny Mountains, having been established in 1699. The church building, still in use today, was first erected in 1786 using the French colonial poteaux-sur-solle log cabin style, and is little changed from when it was first built. Catholic missionaries baptized many Native Americans, but sometimes the native tribes were not wholly converted from their ancient beliefs. One notable example was the influential Kickapoo prophet Kannekuk, who began a religious movement among Illinois’ native peoples in 1825 that mixed Catholic Christian doctrines and practices with Kickapoo religious beliefs and concepts. Though Kannekuk’s zealous preaching saved many of his people from the evils of alcohol abuse, Catholic priests in Illinois were grieved by his syncretistic approach which led members of their flocks to embrace beliefs that the Church condemns as heretical. According to Dunne, many of Illinois’ newcomers in the early 1800s came from Methodist, Baptist, and Presbyterian backgrounds. 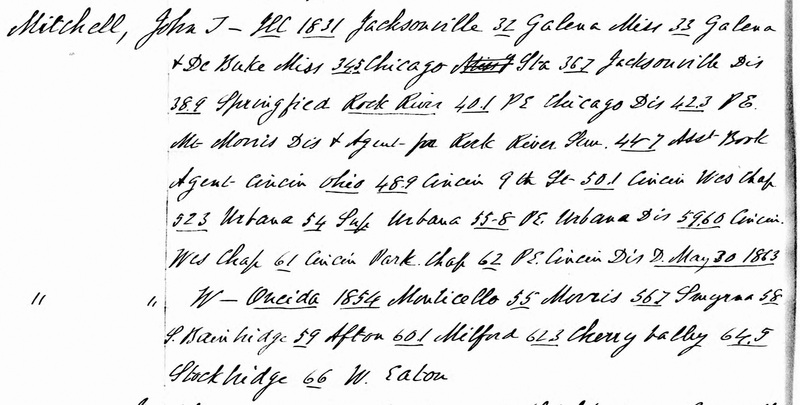 Methodist clergy were among the most energetic in evangelizing the new state, and by 1824 the Methodists of Illinois already had a presiding elder, nine circuits, 11 preachers, and a membership of 3,705 European Americans and 27 African Americans. By the following year, the Baptists reported that they had 58 preachers and “exhorters” in Illinois. That same year there were 16 Presbyterian preachers in the state. Other Protestant denominations such as the Brethren (“Dunkards”), Covenanters, and Independents each had a single minister active in Illinois. Besides the orthodox Catholic and Protestant groups, a few Universalist ministers were also working in Illinois. As for the Catholics, almost all were of French origin in the first three decades of the 19th century, but a few Irish families had begun to arrive by the 1820s, and there were three English-speaking Catholic mission churches in Illinois by 1830. Next week we will offer an overview of the development of religion in Pekin during the 1800s.